St. Margaret's is a once a year, "reservation" fish fry, so there isn't much wayfinding or menus needed. Volunteers and youth helped direct visitors to the cafeteria. Ordering was simple and straightforward. Since you can pay in advance when you RSVP, paying was simple. You just check-in and confirm your reservation and payment. Paper plates, plastic silverware. Recycling for cans. Outstanding Cod. Beer battered coating is delicious and unique. You won't find such delicious batter at too many other fish fries. Cod was moist and perfectly fried. If you like mac and cheese and cole slaw as sides - great! If not, you are out of luck. Mac and cheese and cole slaw were excellent, especially the mac and cheese. Dessert was simple - Italian ice. Water and lemonade. Beer was 4-Hands Citywide. Good value. Only $8 for adults with a big piece of Cod and good sized sides. Beer was $3. Typical school cafeteria with round tables. Large crowd so a good buzz of activity and conversation. Very friendly volunteers and youth did a great job clearing tables and trays. We had multiple visits from volunteers asking to take our plates and trays (nice customer service!). St. Margaret of Scotland is a once a year fish fry. 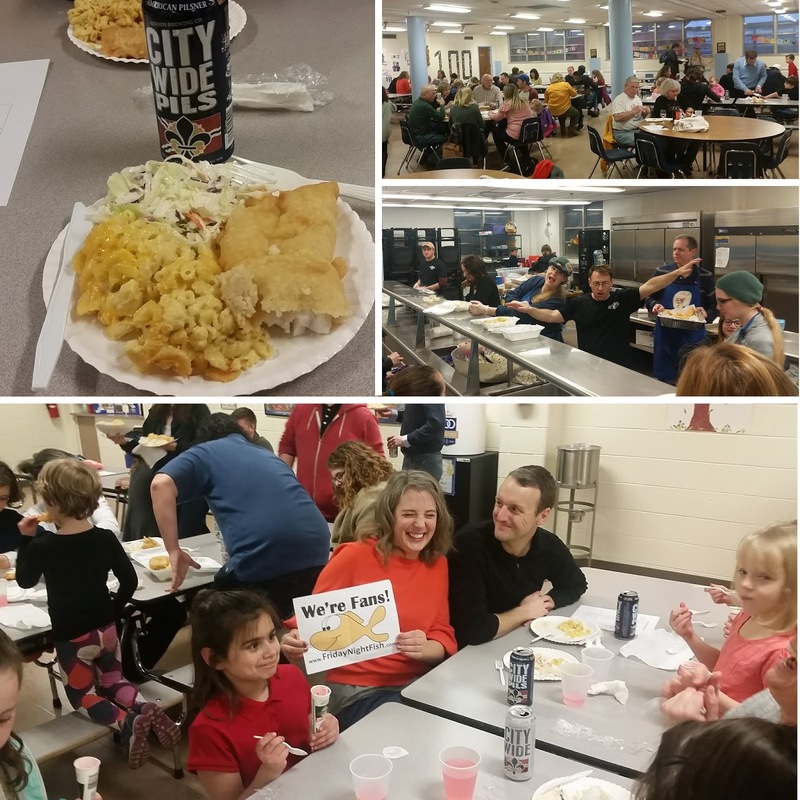 And although some walk-ins are allowed, it is usually a reservation only fish fry - so make sure you check the St. Margaret website early in the fish fry season. The beer battered Cod is excellent and unique among fish fries in the region. There's no choice on sides, you get cole slaw and mac and cheese, but the sides are excellent. Plus, a fish fry with 4-Hands beer! Great job St. Margaret of Scotland!